pH reagent drops for testing pH of water in larger 50cc glass bottle. 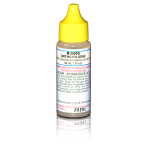 Label features pH color chart..
OTO kit to check for presence of chlorine. Just a few drops will turn the test water bright yellow ..
Hard water is a common problem in the average household. 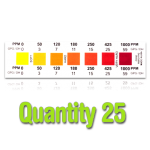 Our Hard Water Test Strips (25 tests) can h..
Hard water is a common problem in the average household. 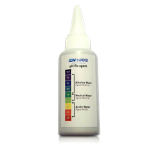 Our Hard Water Test Strips (50 tests) can h..
Hard water is a common problem in the average household. 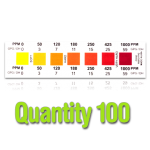 Our Hard Water Test Strips (100 tests) can ..